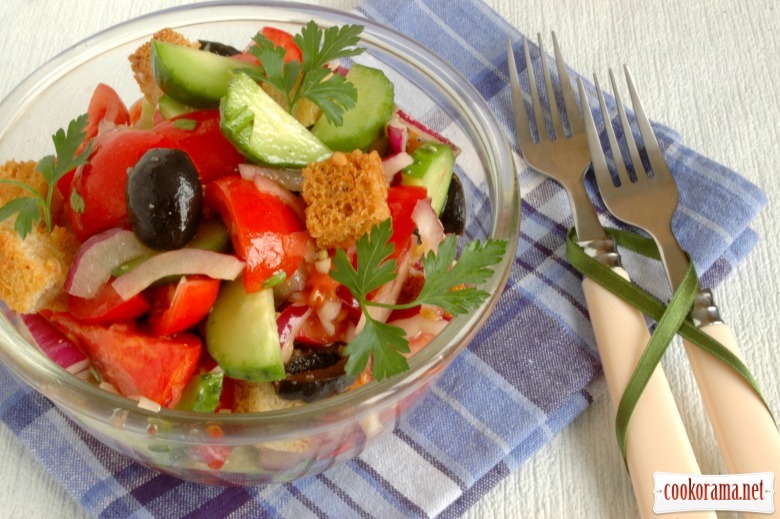 Panzanella — is an Italian cuisine, bread salad. 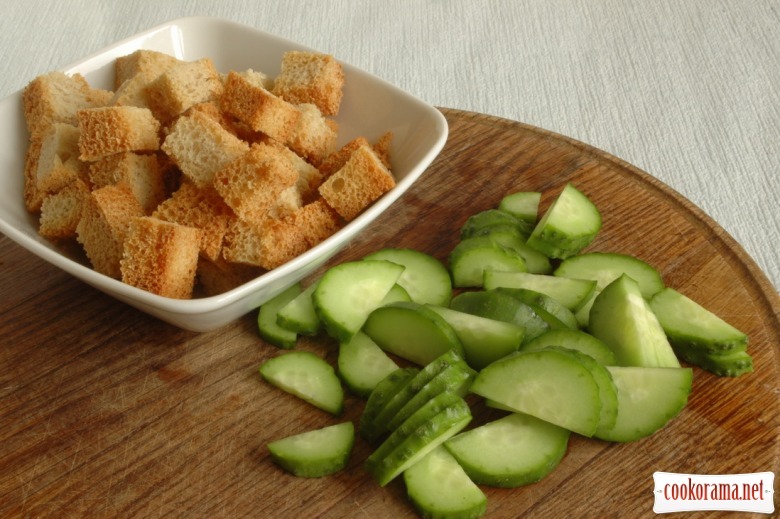 Its practicality is to use yesterday's bread, salad is very bright, juicy, flavorful, healthy and hearty. 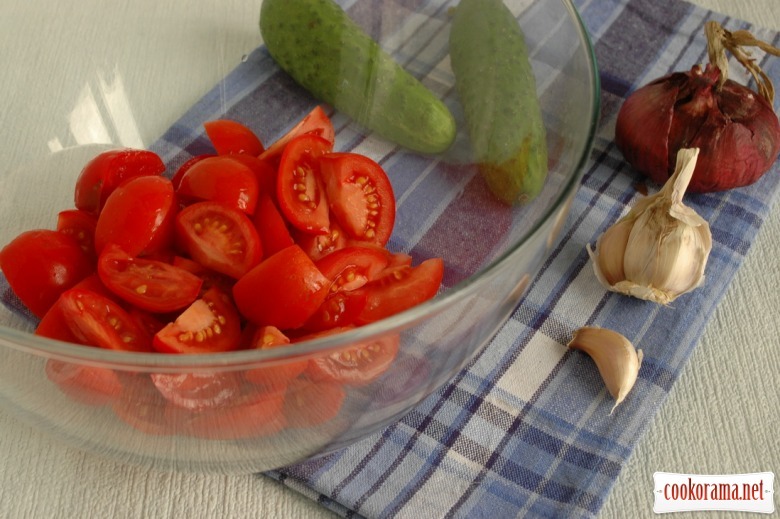 To prepare salad you should slice tomatoes, onion into thin strips, chop garlic (if there is an internal germ in cloves, then it must be removed). Season with aromatic sea salt, pepper — as desired. 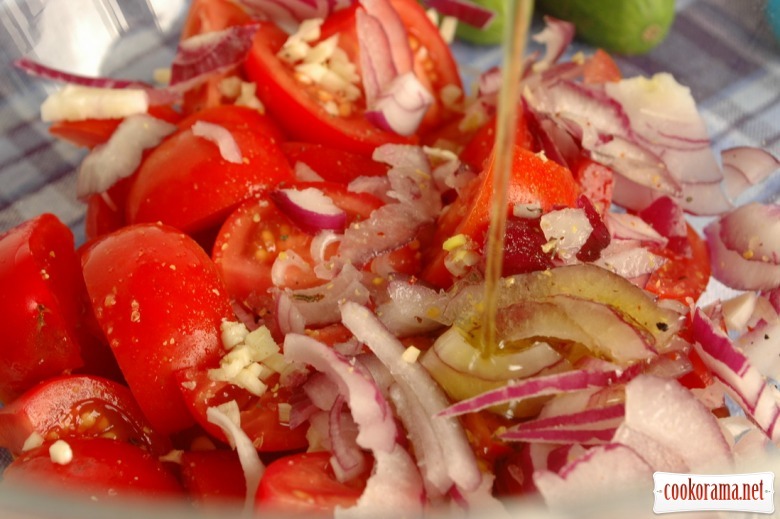 Mix and put at least for 1 hour in the refrigerator. Meanwhile dice yesterday`s bread and fry it in the oven. You can break it with your hands and dry on a pan without oil. 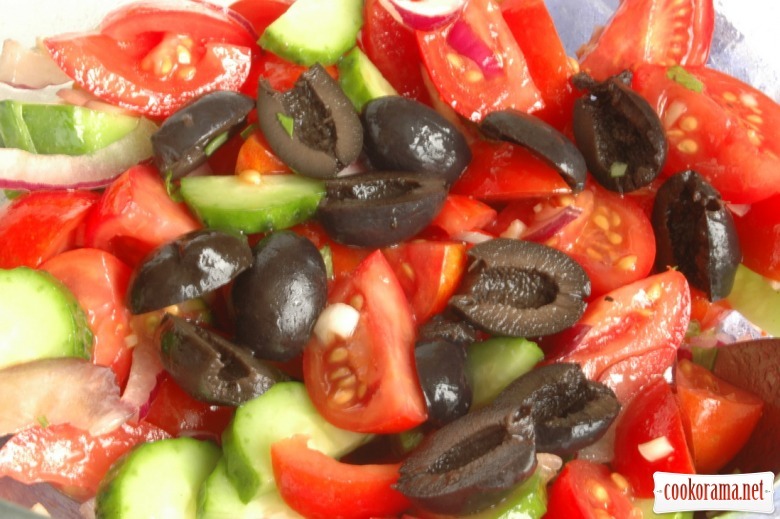 Combine tomatoes with cucmbers, halves of olives and croutons. Add chopped basil. Mix it, before serving decorate with parsley. 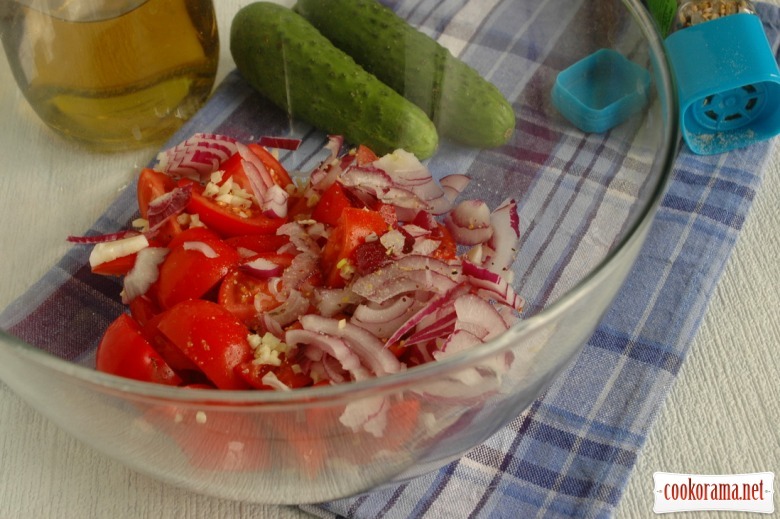 Все как всегда красиво, эстетично и вкусно.